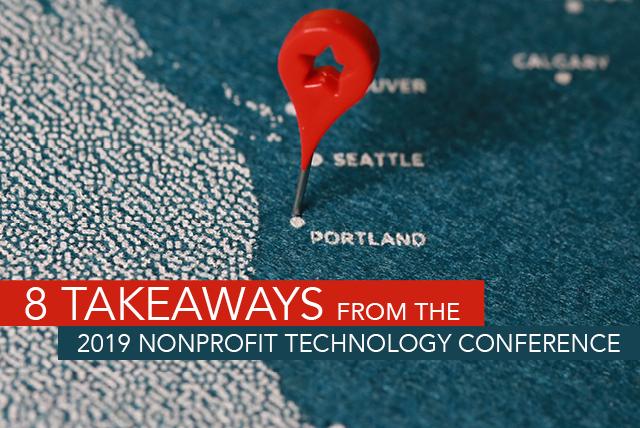 This year’s Nonprofit Technology Conference (NTC) held by NTEN in Portland Oregon, had over 2,000 attendees and over 200 sessions. While there was a diversity of content and perspectives, there were several recurring themes and takeaways. Here are 8 takeaways from my experience at the conference. “Garbage in, Garbage out” – Strive for clean and integrated data: There are still many organizations with upwards of a dozen different systems for tracking donor activity, sometimes even including individual Excel docs. These disparate systems inhibit the ability to take advantage of the latest tools in advanced segmentation and marketing automation and result in negative donor experiences. Triggered Campaigns, Anniversary emails, dynamic ask strings, and even segmenting your Major Donors for special treatment all rely on accurate, integrated, and clean data. So, try to implement strong data governance policies and plan for all possible channels and donor engagement points when selecting your CRM system. E-Mail is not dead: E-Mail is still thriving and the go-to digital communication channel. The focus is on quality and engagement over quantity as deliverability and inbox placement algorithms evolve. We are truly in a Mobile-First world: Mobile is by far the primary medium used to consume digital content. Maximize your results by ensuring a good mobile experience with mobile optimized landing pages and mobile friendly payment options. Thank you, Thank you, Thank you: Make sure your donors understand the impact of their gift and thank them often and across all channels. If they make a gift online, ideally there should be a thank you message on the confirmation page, triggered e-mail receipt, and direct mail acknowledgment. Make sure your donors understand the impact of their gift and thank them often and across all channels. Start preparing for data regulations now: If you are not collecting opt-ins because it is not required under current U.S. regulations, you should consider doing so soon. It is best to be prepared in case things change in the years to come. 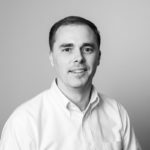 Be conscious of BIAS: This four-letter word can lead to unintended discrimination if it creeps into your marketing automation, modeling, or segmentation. Avoiding bias can be challenging but try using alternative indicators if they are available. For example, we may favor Social Media Activity indicators instead of age when modeling or segmenting an audience for an online appeal. Success requires continual analysis and optimization: Even with all of the automation tools available for digital marketing, there is still a need to evaluate and optimize your campaigns in order to be successful. From managing AdGrants and Social Media ads to timing re-engagement e-mails, there is always room for fine tuning and improvement. NTEN gets a 10! Overall the NTC is a comfortable, collaborative, and inclusive environment with many events beyond the sessions to encourage networking and knowledge sharing among the attendees. The check-in process, event app, variety of topics, collaborative notes, accommodations, product demos, and ping pong tournament were all well run and ensured everyone got the most out of this experience. The NTEN staff were outstanding and I would highly recommend attending this event if you are interested nonprofit in technology!